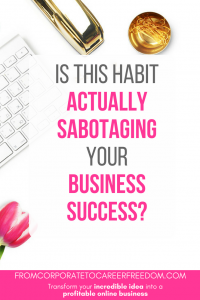 Is This Habit Actually Sabotaging Your Business Success? I’m not one to typically write about ‘soft’ topics like emotions. But this post is close to my heart because it’s something I have struggled with. And I know from speaking to customers and from speaking to associates that it is far more common that people realize, even if we don’t want to admit to it. It is the feeling of being overwhelmed. I want to talk about what it feels like to be overwhelmed at the start of your business journey, why it can be so damaging to your business success, and what you can do about it. Day 1: You have a spark of inspiration! A dream! A clear goal! 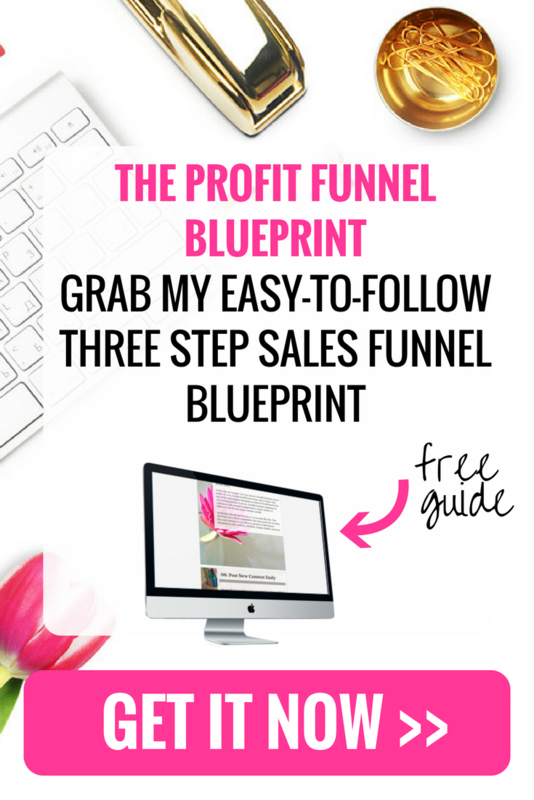 You know exactly what you want to do, and it involves launching the business of your dreams. Your vision is clear. Day 2-5: You begin researching into how you reach your goal. You can still see your goal, but now you are finding that there are a few things you have to do first. Mini goals. So when you look out to the horizon, you can still see your goal. But there’s a few mini goals in front of it. Day 6-30: Now you are really getting into your research. You’ve learned so much. You know there is a lot more to learn, more than you realized when you first had your dream. So what can you see on your horizon? Well, it looks kind of busy. You can still see your goal, but in front are dozens and dozens of other mini goals you need to achieve to get there. Day 30-180: Your goal is still there. But it looks smaller. Has it moved further away from you? Why is that? Well, you’ve done more research. You’ve changed your original idea slightly. And now you know that there are 1000+ things you HAVE to do if you want to reach your goal. And there they are, sitting in front of you, blocking your horizon. Obscuring your view of that original, sweet, simple goal you had. Sound familiar? This is what many of us new entrepreneurs experience, and it results in a huge feeling of overwhelm and self-doubt. To make your business work online, you have to get researching. You have to find out how to market your business. You have to figure out the best way to build your website. You have to figure out social media. But the more you learn, the more you realize there is so much to learn. And so it goes on. You become overwhelmed by the sheer mountain of tasks in front of you, and before you know it, you are 6 months into your business and have made little or no progress. Your original dream starts to fade from sight, and complexities spring up in its place. This is what I mean when I say that feeling overwhelmed by achieving your goal can actually sabotage your efforts to reach that goal. We are only human, and the internet is full of millions, billions of articles, tips and suggestions as to how to start an online business. Much of it is great. But you are only one person, and you can’t take all that information in, and start your business at the same time. A solid business strategy will guide you and keep you focused. 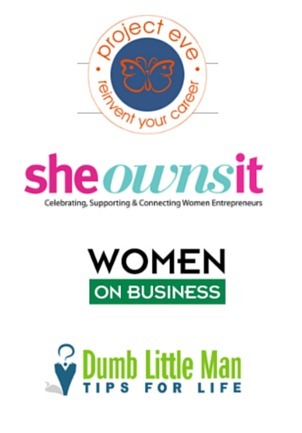 Concentrate on a small number of key elements that are really going to drive your business and push it forward. Anything else becomes a nice-to-have and you can just put it on your long-term to-do list. And that you might get some things wrong. This was a big one for me. I’m a natural perfectionist, so it is truly tempting to try and soak up every piece of advice and information that came my way in the early days. But once I realized that progress would only happen when I shut out that noise, I succeeded. I could tell you about so many online entrepreneurs (me included) who cringe at the thought of the first clunky website they launched, their first confused attempts to get involved in social media, or their first go at figuring out SEO. You’ll make mistakes, but so does everyone else. Get a pen (remember those?) and a piece of paper, go and sit in a coffee shop (or just a nice environment local to you – the beach if you’re lucky enough! ), and write down just three goals that you want to achieve over the next week, and 10 goals that you want to achieve over the next month. It doesn’t sound like much, but it is. Learning and developing is great, but doing is what will grow your business. So set aside just one day a week when you ‘allow’ yourself to read new tips, techniques and industry knowledge. Feeling overwhelmed is a common side effect of starting a business, and if you’ve experienced it then all it says about you is that you want the best for your business – which is a fantastic attitude to have. But don’t let it detract you from your bigger goal. Separate out the very tiny percentage of important stuff from the larger noise and you’ll have yourself a solid strategy that will really help to bring you success.